Sponsorships - Thanks to the 2018 Survey Sponsors! 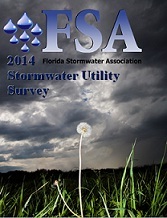 The Stormwater Utility Report presents the results of a biennial survey of stormwater utilities in Florida. Its purpose is to provide information to both managers and policymakers in state and local government. 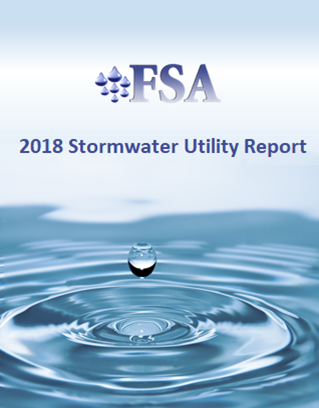 Trends in the characteristics of the stormwater programs, utility rates and other practices within local government can be observed by comparing FSA's survey results. Florida has 67 counties and over 410 cities. Short of surveying every city and county, it is difficult to determine exactly how many stormwater utilities exist in the state. 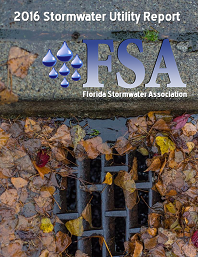 FSA’s best estimate is that there are now approximately 165 local governments that have established stormwater utilities pursuant to Chapter 403, Florida Statutes or their own home rule powers. One hundred and thirty-seven stormwater utilities responded to the 2018 survey questionnaire. 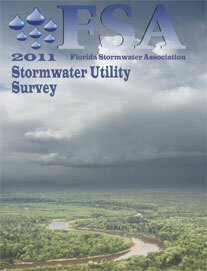 We expect the number of stormwater utilities to continue to increase for several reasons: The Florida Supreme Court has consistently upheld the validity of such fees; there is (generally) more public support for funding programs with user fees as opposed to ad valorem or other general taxes; and, the process of implementing Numeric Nutrient Criteria and the multi-billion dollar Total Maximum Daily Load program in Florida continue to drive costs higher. As one might expect, service areas dedicated exclusively to cities constitute a significant majority of stormwater utilities in part reflecting the relative ease of attaching a user charge onto an existing billing mechanism. Most stormwater utilities are located within a department of public works and have used impervious area as the basis for calculating the fee. As in earlier surveys, revenue generated from stormwater utilities represents a significant source of funds to address stormwater pollution and flooding problems. Most jurisdictions report that utility charges are adequate to meet most administrative costs but not for needs associated with capital improvement programs. Whether stormwater utility fees can be raised at a rate to keep pace with the costs of TMDLs and new water quality criteria remains to be seen. The Association appreciates the assistance of those who completed the survey instrument. We hope that you find this Report to be of value.